Thursday the annual summer LCBO Giving Back campaign started. When you make a purchase at any LCBO in Ontario they will ask you if you’d like to donate to the United Way. As this is an Ontario wide effort, local United Ways benefit greatly through visitors and tourists in our own communities. Stores are assigned to the various United Ways by postal code which means all 19 Bruce Grey stores’ proceeds are directly donated to the United Way of Bruce Grey! All 100% of the funds stay local for local projects. New this year the Thornbury LCBO has joined the United Way of Bruce Grey team at the request of the store staff, and supported by the United Way of Greater Simcoe. That makes 20 stores. 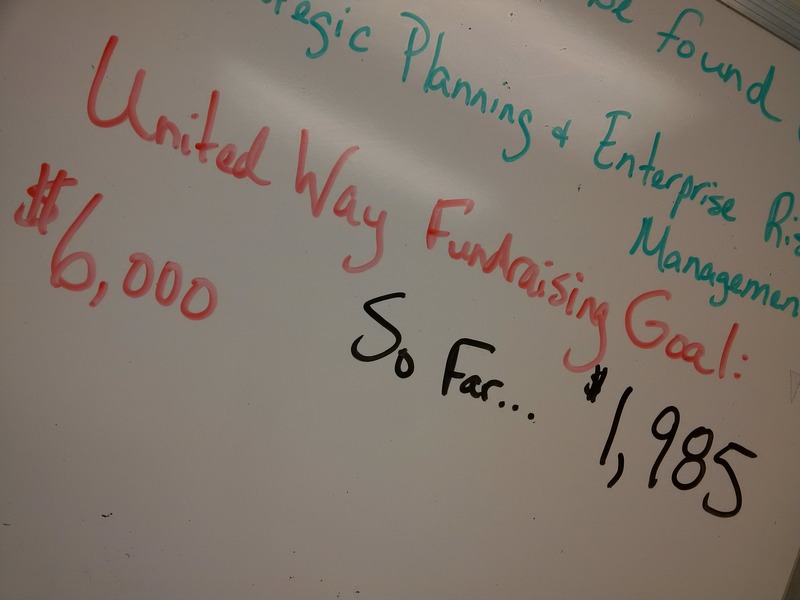 In 2014 the entire 4 week campaign, 2 weeks in the summer, 2 weeks around Thanksgiving raised over $57 000 for the United Way of Bruce Grey! I know we can top $60 000 this year! Thank you to everyone who gives so generously! What an incredible difference this campaign makes in our community. In the last ten years it has grown from $2000 to almost $60 000.